the franchisee, the individual business person who will distribute the franchisor‘s product or service. In a franchise agreement, the franchisor grants the franchisee the right to market and sell a product or service. The right is granted in a certain area for a predetermined amount of time. The franchisor also provides the operational “blueprint” for the establishment and successful operation of the business. Normally, the franchisee is required to pay an initial franchise fee, conform to the franchisor‘s operating criteria, maintain quality standards and pay royalties throughout the term of the franchise agreement. If you have a desire to start your own business, a franchise can be a great way to increase your chances for success. As part of a major franchise network, you can expect to benefit from professional marketing, national advertising, specialized training, and centralized purchasing. Statistically, you are more likely to succeed with a well-established franchise than with a non-franchised independent business. Franchising is an area of business that is enjoying continued growth in North America. But what makes a franchised business a good business opportunity for you? A franchise allows you the independence to manage your own business while providing the security of participating in an established business with a successful track record. In a franchising relationship, there are benefits to both the franchisee and the franchisor. The franchisee benefits from the franchisor’s expertise and trademarks, and an already established business format. The franchisor is able to expand the scope and reputation of the franchise with each additional outlet, generating additional value for both parties. Franchises represent a fast-expanding segment of the retail sector. In fact, franchising accounts for more than 40 per cent of all retail sales in North America. 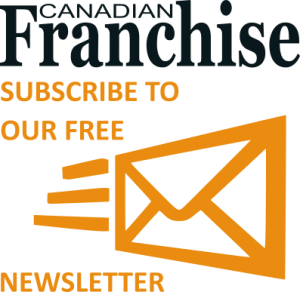 According to the Canadian Franchise Association, it is estimated that there are over 1,000 active franchise systems in Canada, represented by more than 78,000 franchisees, offering a wide variety of products and services.